This is an article about some Danes who travel up to Lapland in northern Sweden above the arctic circle and then find out that you can’t easily take your bicycle on the train. The Danes, of course, assumed they could just stick their bikes on the train when they were tired. But it turned out they were not allowed unless they gave 5 days notice. Using some clever thinking and Danish ingenuity, they decide to wrap their bikes in cardboard and call them ‘packages’. 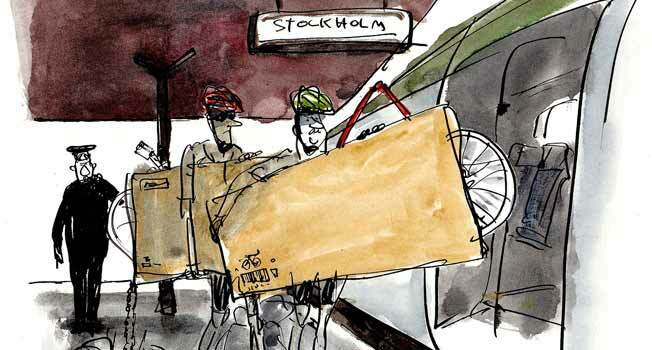 It worked and they managed to get their bikes to Stockholm. Sverige: Ulogiske regler for cykler i tog.